Ep. 75 is up, and the FIFO craftalong is in full swing! Jill is working on the Mustard Baby Romper by Marta Porcel from the creativa atelier website out of Twist Cotton DK in Cool Mint. She's run out of yarn so is going to try adding in the same yarn in Blue Sky or Salt and Pepper. 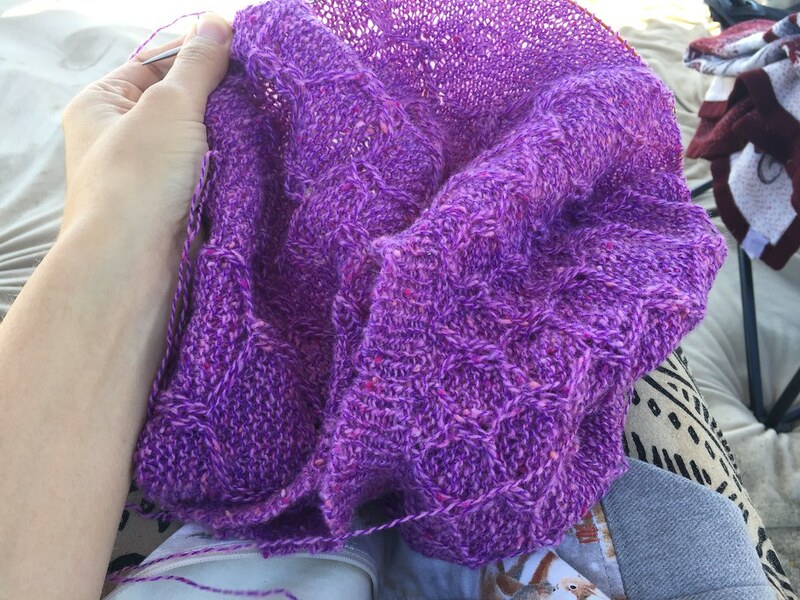 She is working on the yoke of her Wool & Honey pullover by Andrea Mowry out of Rowanspun 4ply in the Temptation colorway. This is her first project for the First-In-First-Out (FIFO) craftalong. The craftalong started September 1 and goes through November 31. 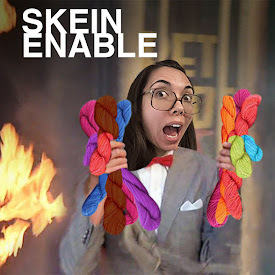 Chat for the craftalong here! Jill also basted her Rugged Trail quilt out of Connecting Threads Yosemite flannel. Jill queued the brioche Berrit hat by Katrin Schubert. She likes The Vintage Puzzle sweater by Sandra van Scheijndel. There is a knitalong for the pattern going on on Instagram, #thevintagepuzzlealong. She's also into the Glorious Cincuenta Cowl by Lisa R. Myers, designed for Manos del Uruguay's 50th anniversary.